During this Advent season, many of us are likely to be thinking of angels a little more. 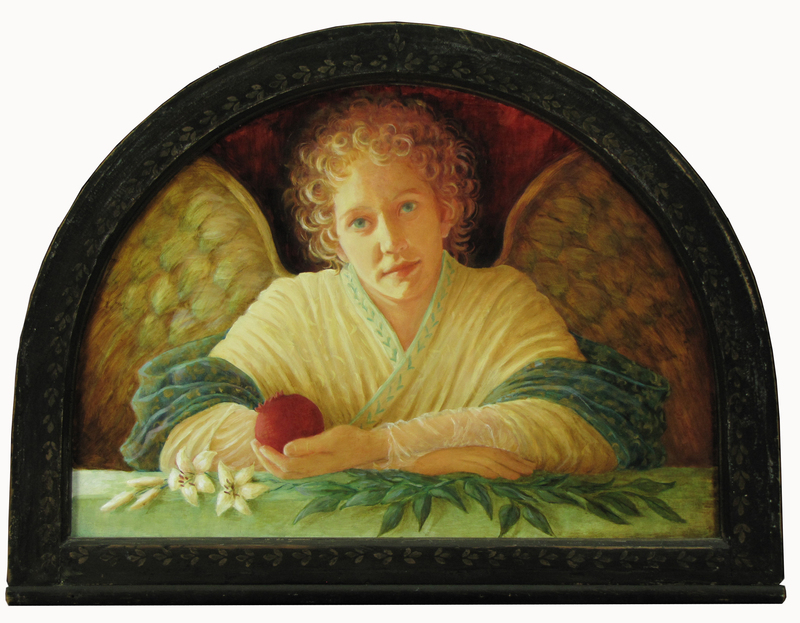 This painting, titled “Angel with Lilies and Pomegranate,” is one which I painted a number of years ago when I often incorporated traditional Christian symbols in my work. Throughout the centuries of art and faith, many meanings have been assigned to various objects, creating a readable narrative. Of course, the objects can have more than one meaning, but I particularly liked the use of the pomegranate as a symbol of the church - many seeds (believers) in one universal church. And sometimes they bleed. If you’ve ever hastily cut open a pomegranate, you’ll know this to be true. These are extremely difficult times for so many Christians around the world. The angel holding the pomegranate reminds us of God’s watchfulness - His enduring protection over the church, even in the worst of times. The lilies in this context represent resurrection and eternal life. and prayers for those who suffer for their faith. Vickie, I believe this is my absolute favorite! Thank you Linda! So glad you like it. Hi Vickie – absolutely love this piece and your reflections on it. Thank you for sharing. Thank you so much Freddy! So good to hear from you. Blessings to you and your family in the new year!